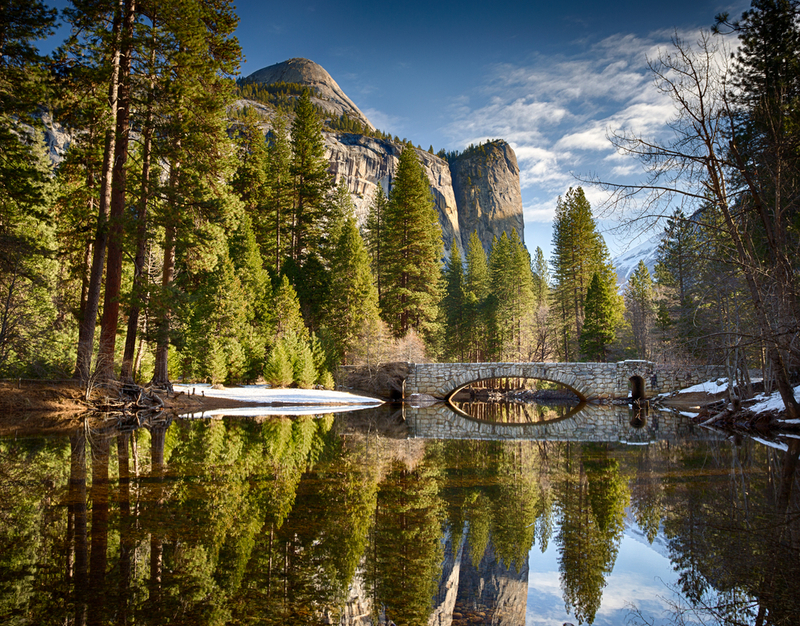 Yosemite National Park, the site of such natural wonders as Half Dome and the majestic giant sequoia trees, was established by an act of Congress this day in 1890. Environmental activist John Muir and his associates campaigned tirelessly for the passage of this act, and their work finally came to fruition when President Benjamin Harrison decreed that approximately 1,500 square miles in the California Sierra Nevada would be protected forever as Yosemite National Park. Native Americans were the chief inhabitants of the Yosemite Valley. That is until the 1849 Gold Rush lured in thousands of non-Native would-be miners and settlers into the area. Curious tourists and the inevitable damage to the Yosemite Valley’s ecosystem followed. While out enjoying the area in 1889, John Muir noticed that the meadows surrounding Yosemite Valley were being taken over and almost destroyed by the uncontrolled grazing of domestic sheep. Realizing this was an area that lacked government protection, Muir and Robert Underwood Johnson, magazine editor and fellow environmentalist, lobbied for the large untamed area around Yosemite Valley to obtain national park status. On Oct. 1 the following year, they got their wish, with about 1,500 square miles of land set aside, an area about as big as the state of Rhode Island, for what would become America’s third national park. Over three million people visit Yosemite annually today, to “get back to nature” and to see with their own eyes such breathtaking natural wonders as the imposing rock formations Half Dome and El Capitan, the biggest granite monoliths in the country; the awesome Yosemite Falls, almost 2,500 feet high, making it one of the tallest waterfalls in the world; and, of course the imposing and ancient sequoias, the world’s grandest trees.